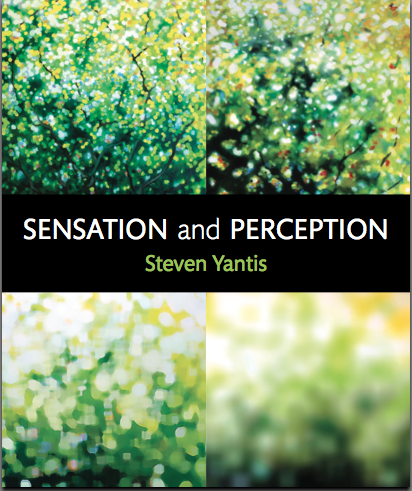 I am very thrilled and proud that four of my artworks have been chosen for the cover of a new book by eminent professor of neurology Stephen Yantis. The book is called Sensation and Perception. What is intriguing and satisfying is that Professor Yantis is exploring many of the same ideas about the human mind as I do in my artwork, such as the nature, and mechanisms, of our perception, and our storage of these perceptions in our biological and digital memories. The book features artwork as chapter headings too, by artists such as Rothko and Picasso, and so I am truly honored to have my work chosen. The book will be available in the Fall, and is published by New York publisher Freeman & Worth (Madison Ave, New York, NY). At the edge of representation we find the patterns that comprise the underlying structures, colors, and light available to our biological and intellectual process of vision. I sometimes think of my process of creating art as scavenging from nature, a kind of ‘found art’ but where the object found is visual. I begin with a photograph that I take on my digital camera, and manipulate that image (now just a collection of pixels, after all) until I have a work on which I can base an oil painting. When this painting is completed, I take a photograph of the painting, and digitally alter and manipulate it until, by both chance and planning, I create an image that will form the basis of the next painting. This feedback loop continues towards a gradual, entropic dispersal of color and light. As part of this process, I explore the properties of the paint, and I allow this change of medium from pixel to paint to add its own character to the work, to alter the possibilities of the kind of image I create. This parallels the change that occurs when our perception of an event becomes a memory. Whether stored in our biological memories, or stored as a photograph on a computer, our memory is changed by a complex interaction of our physical biology, as well as our emotional reaction and our personal narrative. In addition, the method of storage enacts its own changes, whether pixelated and compressed, or made hazy and indistinct by time. My art at its core reflects my own life. My fascination with nature and light began among the dappled sunlight of the ancient forests of Yorkshire and the clear blue, wide-open wilderness of the Moors where I was born and grew up, and this forged my visual and artistic identity. I now live and work in hot, sunny Texas with its intense, bright light that coaxes brilliant colors and highly contrasted shadow from the creeks and trees it envelops. Any artist’s work reflects their own environment, and mine exists exactly where I do: within nature, and inevitably within the digital media that surrounds us, and both these worlds are made of light, the unifying motif of my artworks.